Morelook has been a very active community in bringing you all the latest apparels online that is within our collection. We try to encourage people to post item to morelook as well as helping both shoppers and owners to get more exposure on either apparels or new online shop. However, nothing beats having a dedicated spot on morelook to better advertise your items online. We will be providing limited space for any interested party to advertise on our platform to better promote your brands or items. MORELOOK is also supported by singaporeblogshop.com and malaysiablogshop.com where the keyword “singapore blogshop” and “malaysia blogshop” is being targeted. You can easily see these 2 sites on the first or second page of google if you type the keyword to search for blogshop in Malaysia or Singapore. We also constantly do advertisement on other platform such as google adsense, facebook ads and some sponsors link. Your ads will be funding our monthly event occurs on MORELOOK to bring you more customers and visitors. Unfortunately we will only be able to provide 5 extra spots within Morelook Marketplace for anyone who is interested to advertise on Morelook. There is no permanent allocation in morelook marketplace ads, each ads appear randomly whenever a user moves to another page. 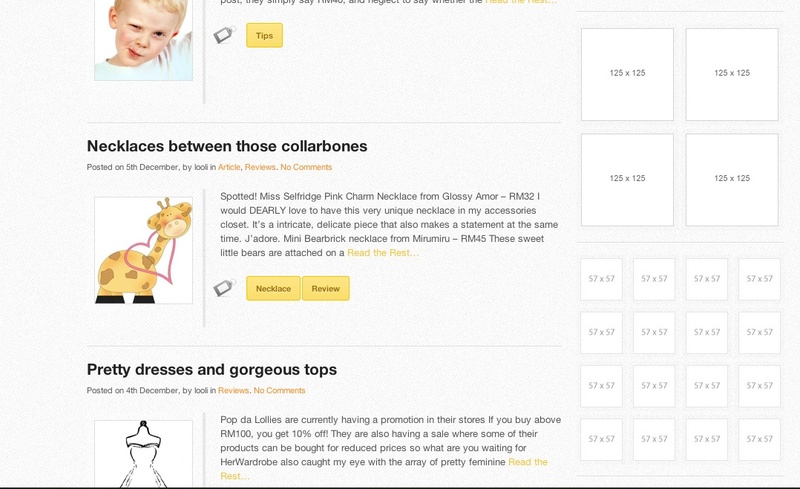 Here’s an example, do take note of the ads that PrettyChase has been with us. Notice that the ads is randomly placed whenever you surf the page. Please provide us with the following details upon payment. short description of not more than 390 characters. This is a static ads placement and here’s an example how it looks like on our morelook blog. Please contact us if you wish to advertise on morelook.